This is an announcement that has been a long time coming. 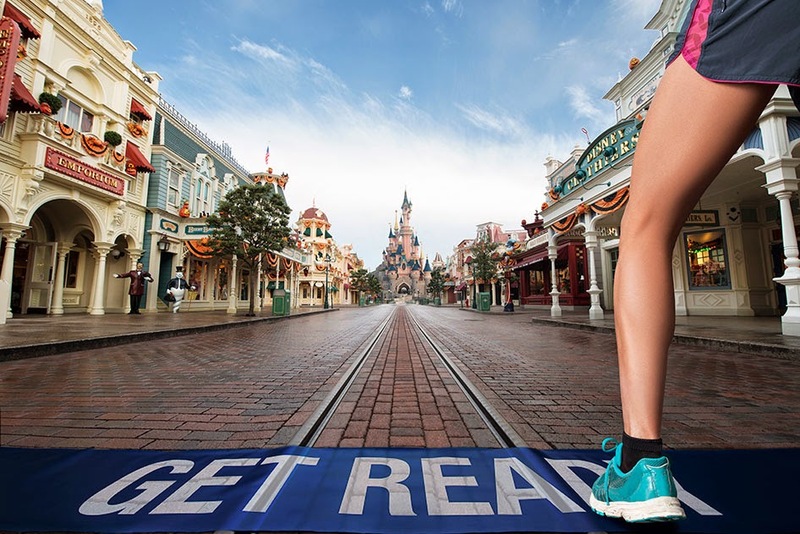 The rumors were abound for a while: a runDisney event would be happening in Paris. Then, there was the rumored timeframe, September 2015. Then, there were buttons and promotional pictures being taken in Disneyland Paris. And then, everything went silent. No more rumors, no announcements, nothing. I had actually heard earlier this year, when I did some wishful thinking, that runDisneyland Paris was on hold until next year due to some sort of technical difficulties. It wasn't much to report on, and it was expected that the announcement would then hold off for a while. That's why the wishful thinking occurred. But it was coming. Well, that all changed this weekend. A Disneyland Paris race is now officially happening. In a very un-Disney like fashion, this was announced with very little fanfare. Actually, it's hard to find anything much on it. However, you can go sign up here for more information. The inaugural half marathon weekend will be September 23 - 25, 2016. Frankly, I know I can't afford to travel there, but I signed up for the emails anyway. Do you have interest in running Disneyland Paris? 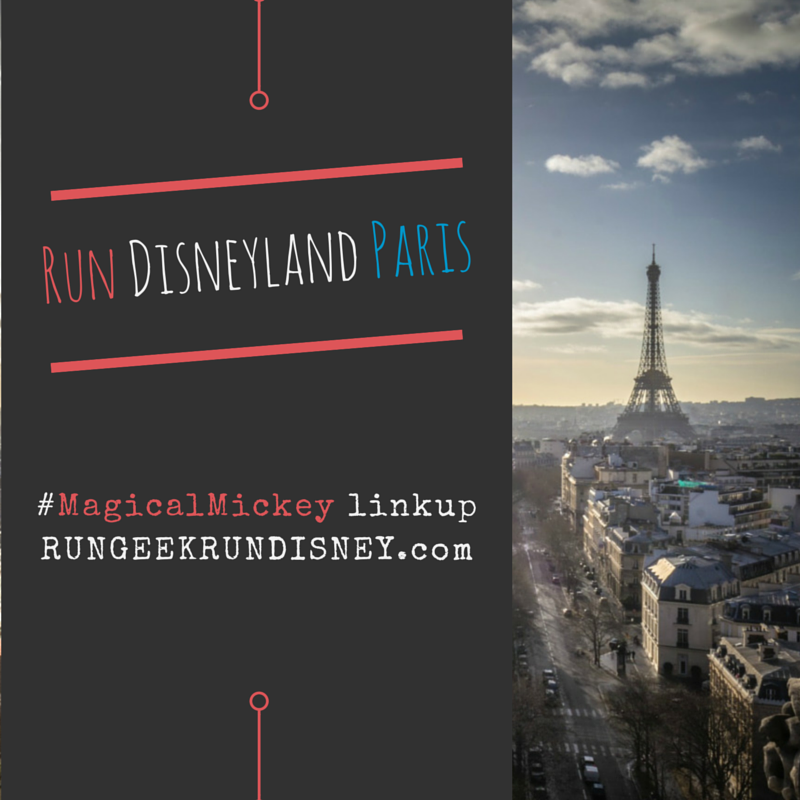 I'd love to go to Paris, but somehow I don't feel like combining runDisney with that kind of a trip. I know, sacrilege, right? I bet it will sell out in a heartbeat though! I can understand that. There is so much I want to do in traveling to Europe, it would hard to do this trip before some of the other stuff. It's not a cheap trip, and while I'd want to go to the Disney park because they're like Pokemon to me (gotta catch them all! ), the runDisney side of things does take up some time, with packet pickup, day for each race you're running, etc, it takes a good bit of time that would be an otherwise limited trip. For Florida, not a worry, but when finally getting to Europe, theres more than I'd be able to do anyway. That said, if anyone wants to sponsor my trip to go write about the races, I'll take that job. In a heartbeat. No hesitation. No, honestly, someone pay for me, haha. I'm excited to see how it goes. It could be interesting being the first year over there for any race. I actually want to run many places in Europe, and would love some European racecations, but too much I'd want to do first before I'd want to have too much time spent around that. I'll be very excited to live vicariously through others, like We Run Disney who are ready to book their plane tickets. I am planning on studying abroad in England in Fall of 2016 so I am hoping that I will be able to take a train to Paris and run in the Disneyland Paris Half! That is great. The timing is just right, can't pass up an opportunity like that. Heck, I'm just jealous of the studying abroad a semester in England let alone the chance to run in the inaugural race for that as well. I am definitely going to try to register. If I make it in, I WILL find a way to do this! :) Though it may be hard to get off of school at the beginning of the school year... details, right? Yeah, not aligned the best for a teacher's work schedule. But that's in the details. Need you look at the big picture: racing in Disneyland Paris. We are super excited about this announcement and having been waiting a long time for it. Christine and I plan to run DL Paris, but part of that is our love of Paris and yes, we have been fortunate to have visited Paris quite a few times. Having lived in Europe for 5 years, I had lots of opportunities! Yeah, I've enjoyed seeing your excitement on it. I plan to definitely live vicariously through your pictures for the race.